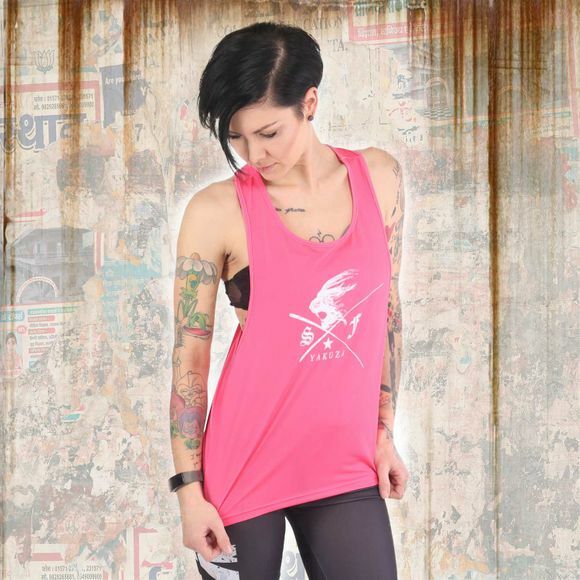 YAKUZA S&F SPORTS LINE BASIC women’s loose tank top. With moisture-wicking and super quick dry fabric, this tank top is perfect for your workout look. The top features a Yakuza Sport logo across the front and a racer style back. Please watch out for our size specifications and the washing instructions below.